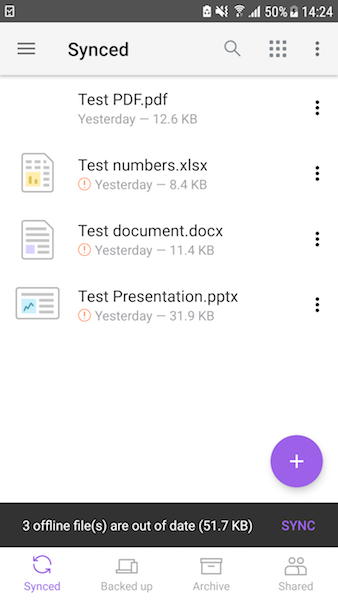 Make your files available offline on your Android device at all times. 1. 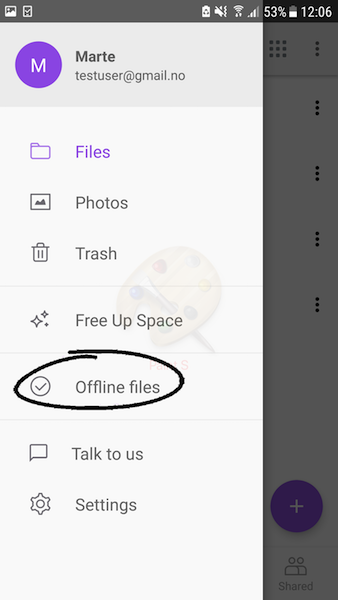 Open the options menu of the file you want to access offline. 2. Press the toggle switch next to the “Available offline” option. After you have made the file available offline, the download will happen automatically in the notification tray. 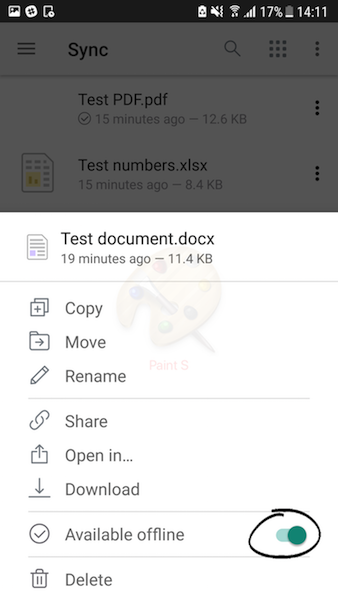 The file you make available offline works like a local copy on your device. All your offline files will be added to a folder called “Offline browsing” which you find in the sidebar menu. When you are browsing this folder, you can open a file without the need to re-download it every time it is accessed. You can also see which files you have made available offline while browsing your “normal” Files folder. 3. Make sure you sync the files you made available offline. If you make any changes to the file you have made available offline, while being online, it will not automatically update on your device. 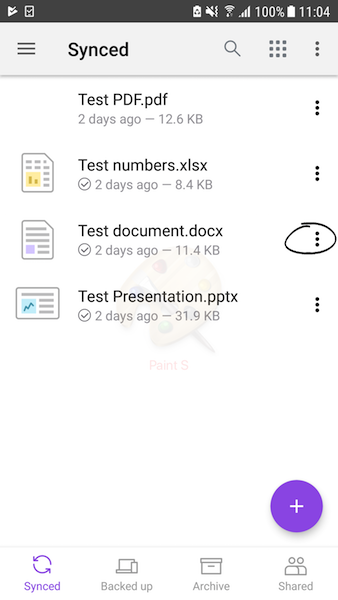 This means that if you change the file on your computer, and you have made the file available offline on your phone, the changes to the file happen externally. Therefore you will have to update your local copy on your phone. You will get a message asking you to sync your file when you open the folder containing the file if it is out of date.